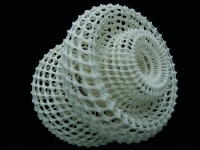 3D-printing research-project with intermediate students. 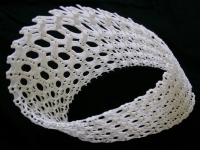 This project explores the possibility of generation of parametric three-dimensional networks and meshes. 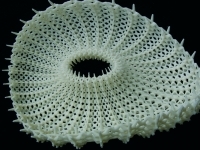 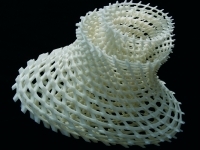 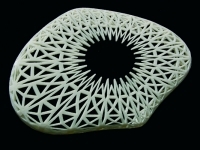 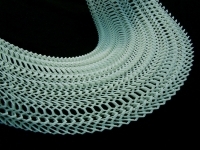 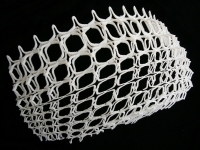 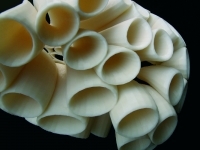 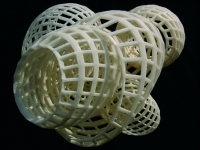 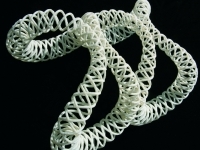 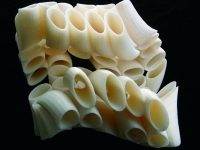 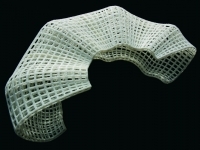 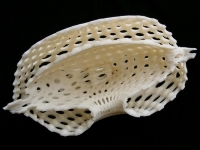 The materialisation is realised by the 3D-printing-technology. 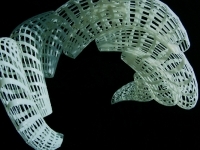 Central feature of the digital structures is the flexible and adaptive connection between the structure and its individual parts and modules. 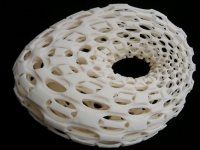 These are topologically connected, why they influence mutually one on the other.